Just back from day one of this meeting at the Innovation Centre in Reading. Building up the 'whats' and 'whys' of what is needed for a new model framework, Read more..
Our first CCN Conference “Managing an uncertain future: Identifying needs and opportunities for sustainable adaptation in catchment management” will Read more..
Our first CCN Conference “Managing an uncertain future: Identifying needs and opportunities for sustainable adaptation in catchment management” will be held in conjunction with CIWEM (North Western Branch) at LEC on Tuesday 6th July 2010. Last week I joined colleagues from the US and Ireland to chair the steering group of the Irish Mini Catchments Programme, now in its half way point of Read more..
Last week I joined colleagues from the US and Ireland to chair the steering group of the Irish Mini Catchments Programme, now in its half way point of an initial 5 years of funding c 2007-11. On this occasion the meeting was in the West, Co.s Galway and Mayo and this was the first time I had attended the steering group when the team was truely up and running. It reminded me that in any new catchment programme – like the one we are currently rolling out inthe UK – that it takes time to get things running. Phil Jordan and colleagues from Teagasc are doing a most excellent job in taking the initiative forward with some new new long-term data sets from around the country. I think that this is at the moment the best such programme in the world that I am aware f but I am worried that it must continue with funding beyind the current end projected for 2011. Catchment change is a long term game, we must consolidate on investments and see out initiatives into the future. Well done to Phil and colleagues, I look forward to the next meeting. Here are a few pictures from the meeting ….. The SCaMP Conference in Manchester last week hosted by United Utilities was designed to give a broad overview of their successes to date and importantly Read more.. The SCaMP Conference in Manchester last week hosted by United Utilities was designed to give a broad overview of their successes to date and importantly how the benefits of the scheme were being expanded via SCaMP 2 to other non-UU owned land critical for water supply in Cumbria (around Thirlmere and Haweswater), Rivington and the West Pennines. 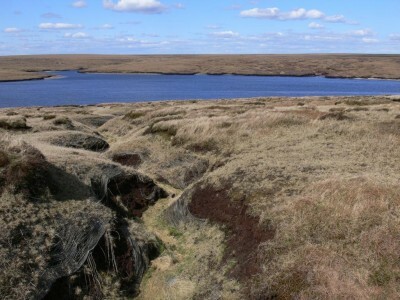 Positive benefits of the scheme were many and varied including the rise in quality of SSSI designated land via the re-wetting of upland moorlands through grip blocking, landscape-scale improvements across a range of biodiversity target habitats and species, evidence of improvements in raw water quality (colour, pathogen loading, suspended sediments), increasing the potential for carbon sequestration in upland catchments, and promoting recreation and heritage. There are areas that need a stronger evidence base. It was recognized that managing land use to reduce flood risk would take a considerable amount of time and effort to quantify. A pilot study by the Environment Agency in the Forest of Bowland has shown that uncertainty in the data was greater than any change that could be measured. Any baseline for such work is constantly moving as our weather and climate changes (from individual events, seasonal changes and annual variability) and this variability is predicted to become more important into the future, making the gathering of information even more challenging. It was highlighted on several occasions that impact and evidence for positive change, particularly for water quality indicators was a long-term objective and catchments-scale management was a long-term process principally because of the ecological lag-times between action and response. Crucially, communicating the positive benefits of these schemes with land owners and farmers needs some improvement and engagement strategies will have to find ways of embedding the principles of sustainable land management with these target groups on which uptake of these schemes are so vital. What the day showed was that SCaMP has provided a really valuable starting point from which the Demonstration Test Catchments and other catchments scale projects can learn from and from which they can develop and refine their methodologies. 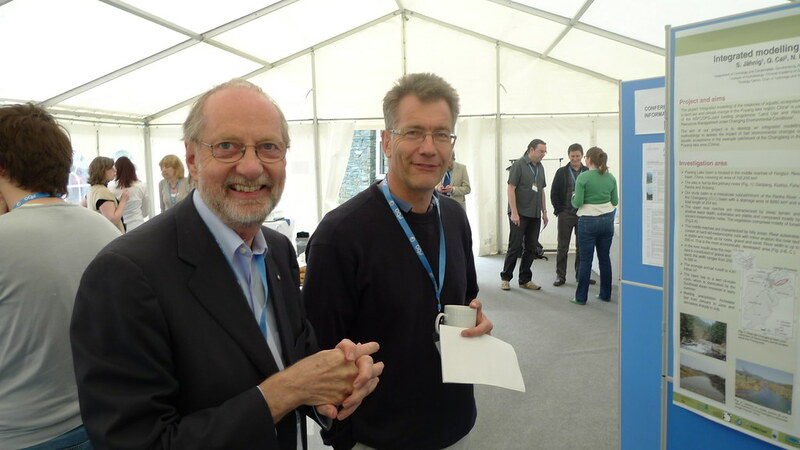 Prof Graham Harris of Lancaster Environment Centre, along with colleagues this week hosted a successful international summit in Windermere focussed on Read more..